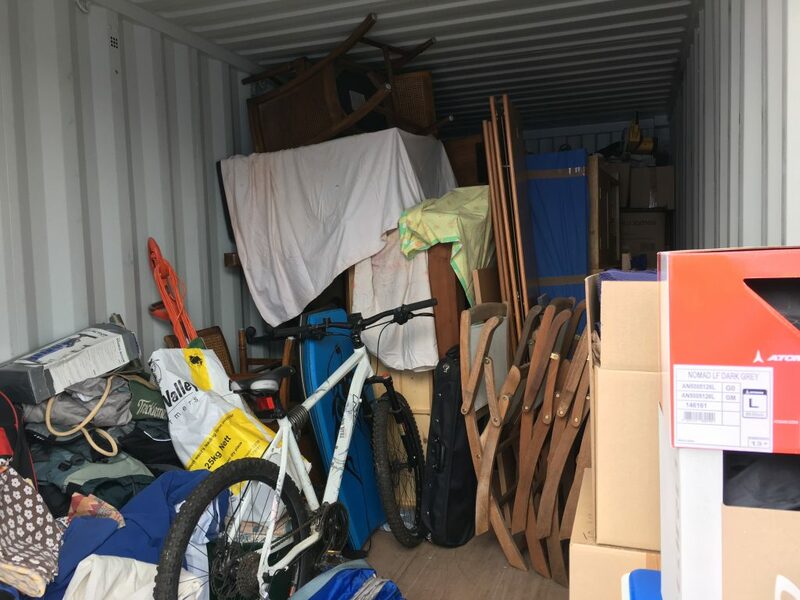 We have read a number of blogs where people have regretted leaving personal possessions in storage. But that was only after they had decided that their lifestyle was going to permanently change. We will have to make our own decision at the right time for us, and we’ll be leaving our possessions in storage until we know what the future holds for us. Current plans are to be back after two years travelling and the (approx.) two thousand pounds we will have spent on storage by that point will be far less than the cost of replacing all of our furniture, not to mention (most importantly) the cost of replacing my books and cooking equipment and Paul’s tools. We spent some time scouting storage units, indoor storage, storage containers or the garages/lofts of friends and family. In the end we opted for a storage container near to our house. The decision based on convenience (very easy to start shuffling stuff backwards and forwards between the house and the unit), the fact that they also do Motorhome storage (so we could keep Bertie there and move stuff between the storage unit and Bertie) and price (they were the cheapest we could find in the local area). Then we had to work out our approach to insurance. Possessions in storage units aren’t usually covered by home contents insurance (except for short periods of time between house moves), and specialist insurance is very expensive, again it’s based on people leaving possessions in storage for a short period of time and is priced by the day, most quotes coming in at a couple of hundred pounds per month. So we decided against insurance. Now we have moved out, the storage unit is much fuller than I expected. Last time we moved (eleven years ago) we didn’t seem to have much at all and our belongings rattled around in the back of a seven and a half tonne truck. It’s amazing how much stuff is accumulated over the years. Although we’re not particularly material people (for example I only got rid of our CRT TV last year when we were offered a flat screen in payment for a job that Paul did), we do like to save stuff for ‘just in case’ and we do like to be prepared for every eventuality. How that will transpose to motorhome living I don’t know!